Borrowing a trick from nature, engineers from the University of California at Berkeley have created an incredibly thin, chameleon-like material that can be made to change color -- on demand -- by simply applying a minute amount of force. This new material-of-many-colors offers intriguing possibilities for an entirely new class of display technologies, color-shifting camouflage, and sensors that can detect otherwise imperceptible defects in buildings, bridges, and aircraft. "This is the first time anybody has made a flexible chameleon-like skin that can change color simply by flexing it," said Dr. Connie J. Chang-Hasnain, a member of the Berkeley team and co-author on a paper published online on March 12, 2015 in Optica, The Optical Society's (OSA) new, high-impact journal. By precisely etching tiny features -- smaller than a wavelength of light -- onto a silicon film one thousand times thinner than a human hair, the researchers were able to select the range of colors the material would reflect, depending on how it was flexed and bent. The colors we typically see in paints, fabrics, and other natural substances occur when white, broad-spectrum light strikes their surfaces. The unique chemical composition of each surface then absorbs various bands, or wavelengths of light. Those that aren't absorbed are reflected back, with shorter wavelengths giving objects a blue hue and longer wavelengths appearing redder and the entire rainbow of possible combinations in between. Changing the color of a surface, such as the leaves on the trees in autumn, requires a change in chemical make-up. Recently, engineers and scientists have been exploring another approach, one that would create designer colors without the use of chemical dyes and pigments. People with anorexia nervosa and with body dysmorphic disorder have similar abnormalities in their brains that affect their ability to process visual information, a new UCLA study reveals. People with anorexia have such an intense fear of gaining weight that they starve themselves even when they are dangerously thin. Body dysmorphic disorder is a psychiatric condition characterized by an obsessive preoccupation with a perceived flaw in physical appearance. The researchers found that people with both disorders had abnormal activity in the visual cortex of the brain during the very first instants when the brain processes "global" information, or images as a whole, as opposed to a tiny detail. According to the authors, it could also mean that perceptual retraining may be an effective therapy for both disorders. Perceptual retraining is a behavioral exercise that attempts to help adjust or correct the participant's balance of global and detailed processing. For both of these disorders, participants are encouraged to not focus on details and process objects more globally. Previous research on body dysmorphic disorder has shown the same type of abnormal activity in the visual cortex, but the UCLA study is the first to link the locations of the abnormal brain activity with time periods beginning as early as one-tenth of a second after an image is viewed. Understanding that timing is significant, the authors write, because it may help scientists determine whether the problem is in lower-level perception that takes place in the visual cortex, or elsewhere in higher-level brain systems. The study was published online on February 5, 2015 in the peer-reviewed journal Psychological Medicine. Materials resulting from the chemical bonding of glucosamine, a type of sugar, with fullerenes, kinds of nanoparticles known as “buckyballs,” might help to reduce cell damage and inflammation occurring after stroke. A team from the Max Planck Institute in Germany has tested this on mice, opening the door to potential new drugs for the cerebrovascular accident. The majority of stroke incidents occur when the blood vessels that reach the brain are blocked by clots or fatty deposits which decrease the flow of blood towards cells in the brain. It is then that an ischemic attack occurs, a pathology that leads to the degeneration of neurones, which can be fatal and not many drugs can treat. Now, German and Swiss scientists have discovered that the combination of two substances help to reduce inflammation and the brain volume affected after a cerebrovascular accident. This is glucosamine, an amino sugar commonly used to treat arthritis and arthrosis; and certain derivatives of fullerenes, hollow and spherical structures formed by many carbon atoms. Before now, it was known that the fullerenes capture chemical radicals well which makes them act as neuroprotective agents, while the glucosamine brings down the inflammation. What the researchers have done is to chemically bond the two compounds to produce what is known as “glyconanoparticles.” These have subsequently been administered to laboratory rats which then had a cerebrovascular accident induced. The results, which were published in the March 2015 issue of Experimental Neurology, conclude that this combination of fullerene derivatives and glucosamine reduces cell damage and inflammation after a stroke, according to the MRI scans of animal brains and the improvement of their neurological symptoms. In a March 6, 2015 press release, Sandoz, a Novartis company, announced that the U.S. Food and Drug Administration (FDA) approved Zarxio™ (filgrastim-sndz) for all indications included in the reference product's label. Sandoz is the first company to receive approval of a biosimilar in the U.S. through the new FDA biosimilars pathway established under the Biologics Price Competition and Innovation Act. The approval was based on a comprehensive package of analytical, nonclinical, and clinical data, which confirmed that Zarxio is highly similar to the U.S.-licensed reference product. The approval of Zarxio follows the unanimous positive vote in January by the Oncologic Drugs Advisory Committee (ODAC). "The FDA approval of Zarxio marks a significant milestone for the United States healthcare system and for patients who might suffer from neutropenia," said Dr. Carol Lynch, Global Head of Biopharmaceuticals & Oncology Injectables at Sandoz. "As the global leader in biosimilars, we are honored to be the first company to successfully work with FDA to navigate the U.S. biosimilar pathway and we look forward to making this high-quality biosimilar available to patients in the US." "Filgrastim has proven clinical value in treating patients at increased risk of neutropenia, but it is underused in the U.S. for a variety of reasons, including price" said Dr. Louis Weiner, Chairman of the Department of Oncology and Director of the Lombardi Comprehensive Cancer Center at Georgetown University. "Biosimilars have the potential to increase access and the approval of Zarxio may reduce costs to the healthcare system. An Antarctic octopus that lives in ice-cold water uses an unique strategy to transport oxygen in its blood, according to research published in Frontiers in Zoology. The study suggests that the octopus's specialized blood pigments could help to make it more resilient to climate change than Antarctic fish and other species of octopus. The Antarctic Ocean hosts rich and diverse fauna despite inhospitable temperatures close to freezing. While it can be hard to deliver oxygen to tissues in the cold due to lower oxygen diffusion and increased blood viscosity, ice-cold waters already contain large amounts of dissolved oxygen. In Antarctic fish, this reduces the need for active oxygen transport by blood pigments (e.g., haemoglobin), but little is known about the adaptations employed by blue-blooded octopods to sustain oxygen supply in the cold. Lead author Dr. Michael Oellermann from the Alfred-Wegener-Institute, in Germany, said: "This is the first study providing clear evidence that the octopods' blue blood pigment, hemocyanin, undergoes functional changes to improve the supply of oxygen to tissue at sub-zero temperatures. This is important because it highlights a very different response compared to Antarctic fish to the cold conditions in the Southern Ocean. The results also imply that due to improved oxygen supply by hemocyanin at higher temperatures, this octopod may be physiologically better equipped than Antarctic fishes to cope with global warming." Octopods have three hearts and contractile veins that pump “hemolymph,” which is highly enriched with the blue oxygen transport protein hemocyanin (analogous to hemoglobin in vertebrates). 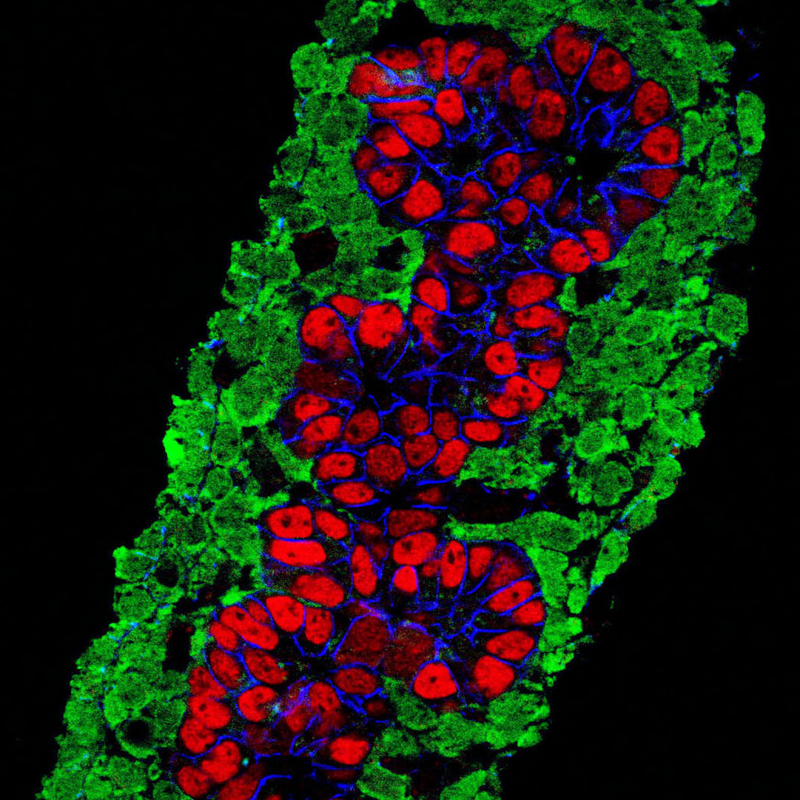 A long-standing puzzle in the diabetes field has been the fact that only a small subset of insulin-producing beta cells in the pancreas of adult organisms can replicate (and, hence, contribute to beta cell regeneration in diabetes). Furthermore, this subset of replicating cells continues to decline with advancing age. Young animals demonstrate a superb potential for tissue regeneration. Because this tissue regeneration deteriorates with age, it is generally assumed that the younger the animal, the better it compensates for tissue damage. In a new study published in Developmental Cell, Professor Yuval Dor and research associate Dr. Miri Stolovich-Rain at the Hebrew University of Jerusalem’s Institute for Medical Research Israel-Canada (IMRIC), in collaboration with Professor Benjamin Glaser from the Hadassah Medical Center, set out to understand the age-related decline of beta cell regeneration. To do this, they examined the ability of beta cells in young mice to replicate in response to hyperglycemia, a condition in which excessive glucose circulates in the blood. Expecting to find a superb regenerative response that declines with age, the researchers were surprised to discover that young mice don’t begin to possess the cellular machinery that allows them to regenerate after they are done weaning. Examining the production of pancreatic beta cells in suckling mice, the researchers found that in these young mice, beta cells failed to enter the cell division cycle in response to high levels of glucose. In addition, insulin secretion in response to high levels of glucose was much reduced compared with the situation in adult mice. Microbiologists at the University of British Columbia (UBC) have uncovered a novel mechanism that boosts B-cells’ sensitivity to extremely small amounts of foreign molecules. The immune system typically combines signals from B-cell antigen receptors (which distinguish foreign molecules) and Toll-like receptors (which recognize common microbial components) to mount responses. But the new work indicates that the Toll-like receptors are able to pre-emptively initiate changes in the B-cell’s structure to kick-start the antigen receptors' activity. The findings could inform vaccine design, and may explain the molecular basis for certain autoimmune diseases and B cell malignancies. When microbial molecules bind to Toll-like receptors, filaments underlying the B cell’s plasma membrane break apart. This allows B-cell antigen receptors, normally confined to compartments by the filaments, to move more freely within the membrane. “The increase in B-cell antigen receptor mobility and collisions at the membrane initiates signaling to the inside of the cell, even in the absence of antigen,” says UBC microbiologist Dr. Mike Gold, lead author on the paper published online on February 3, 2015 in Nature Communications. The paper was titled “Toll-Like Receptor Ligands Sensitize B-Cell Receptor Signalling by Reducing Actin-Dependent Spatial Confinement of the Receptor.” “So maximum signaling can now be induced by much smaller amounts of antigen than in cells that have not been exposed to microbial components.” The study was a collaboration among Dr. Gold, UBC mathematician Dr. Dan Coombs, and UBC Cellular and Physiological Sciences’ Dr. Cal Roskelley. Dr. Coombs and former UBC post-doc Dr. Raibatak Das performed mathematical analyses that quantitatively characterized how TLR signaling altered antigen receptor mobility within the cell membrane. Tourists are familiar with the Lodoicea maldivica palm, also called coco de mer, mainly because of their bizarrely shaped fruits and because the plant produces the world’s largest known seed. Scientists, however, are fascinated by the huge plants – which are abundant on the Seychelles islands of Praslin and Curieuse – for entirely different reasons. The coco de mer palm engages in a lot of effort for reproduction, producing large amounts of pollen and huge fruits that cannot be spread around, but rather fall to the ground at the base. “This is an enormous commitment of energy in very nutrient-poor soil – it does not really make sense,” says Dr. Christopher Kaiser-Bunbury of the Department of Biology at TU Darmstadt, Germany, describing the contradiction that brought about the study by a group of researchers from the Swiss Federal Institute of Technology in Zurich, the Seychelles Islands Foundation, and TU Darmstadt. “We asked ourselves how these palms get the nutrients they need for this.” The study of the slow-growing coco de mer palm trees in the UNESCO Heritage Site Vallée de Mai on Praslin took several years. The scientists measured the amounts of phosphate and nitrogen that the palms invest into reproduction and growth, the amount available of these nutrients in the soil, the amount of water that flowed down the palm trunk during rain showers, as well as soil moisture in certain areas around the plants. The researchers found that the special leaves of the coco de mer palm play a particular role. The broad, slightly feathery leaves reach enormous size – sometimes up to 10 square meters – and have a funnel shape, forming a tube that goes down the trunk. As a result, the palm captures water as well as animal and plant organic waste and debris. Certain types of early-onset epilepsy are caused by previously unknown mutations of a potassium channel gene, KCNA2. The mutations disrupt the electrical balance in the brain in two ways. In some patients, the flow of potassium is greatly reduced; while in others, it is raised enormously. Both states can lead to hard-to-treat epileptic seizures. Mental and motor development can come to a stop, or even regress. These findings were made by a group of European scientists led by researchers at the Universities of Leipzig and Tübingen in Germany. Their results were published online on March 9, 2015 in Nature Genetics. The article is titled “De Novo Loss- or Gain-of-Function Mutations in KCNA2 Cause Epileptic Encephalopathy.” Among what the brain needs in order to function is the interaction of many different ion channels, which regulate electrical signals by keeping a delicate balance between the influences which make cells rest or become excited. The ion channels are located in the cell wall of a neuron, together with many other pores and channels. “The potassium channel KCNA2 is one of many channels. It regulates the flow of potassium ions by opening and shutting, thereby also regulating the electrical excitability of the neurons in the brain,” explains Professor Johannes Lemke, head of Leipzig University Hospitals’ Institute of Human Genetics. Mutations in various ion channels are one of the main causes of epilepsy. “That is why identifying each mutation in the ion channel is important for diagnosing the individual epilepsy syndrome and finding ways of treating it,” says Professor Holger Lerche, of Tübingen’s Hertie Institute for Clinical Brain Research (HIH) and medical director of Neurology and Epileptology at the Tübingen University Hospitals. The central dogma of molecular biology describes the flow of genetic information. It was first described by Dr. Francis Crick in 1956 as one-way traffic: as: "DNA makes RNA and RNA makes protein." A recent open-access paper published in the February 2015 issue of Mutation Research - Fundamental and Molecular Mechanisms of Mutagenesis, however suggests that, rather than being a one-way street, DNA-directed RNA transcription may have profound adaptability. The paper is titled “"Single-cell Transcriptogenomics Reveals Transcriptional Exclusion of ENU-mutated Alleles." The authors of the paper showed a conceptually novel relationship between the genotype (DNA) and the phenotype (the products of the transcription of DNA). The method the authors used to make this discovery is termed Single-Cell Transcriptogenomics (SCTG). It allows DNA and RNA sequencing to be performed concurrently on the same single cells taken from a cell population treated with the powerful mutagen ethylnitrosourea. 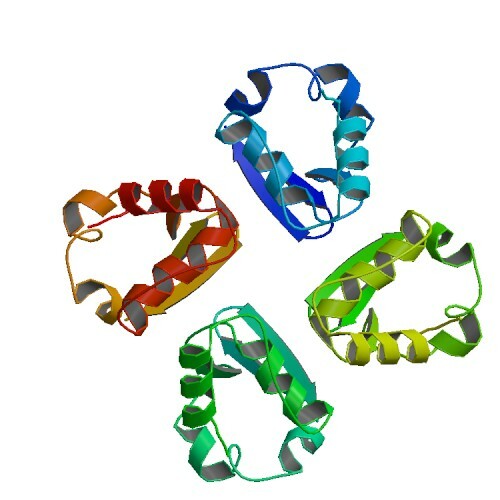 This method allowed the authors, for the first time, to prove the tendency of the transcriptional machinery in the cell to avoid transcribing DNA strands harboring a newly induced mutation. This is likely to be a novel cellular defense mechanism to prevent genetic mutations from being expressed. "We described a novel method to directly examine the transcription pattern of genotypic variants at single cell resolution," explained Dr. Jan Vijg, Department of Genetics, Albert Einstein College of Medicine, lead author of the paper. "Single-cell transcriptogenomics will be instrumental in gaining a more complete understanding of how variations in the genome can lead to functional deficiencies in aging and disease."